Consumers are searching for your customer's local business online. Are they doing everything they can? 1	jplist-folder-All-Posts-584 Battle-Card-Battle-Card	jplist-topic-Marketing jplist-topic-Seo jplist-topic-Vivial	0	02/12/2019 10:23:00	Consumers are searching for your customer's local business online. Are they doing everything they can? 5 quick question to fuel your conversation! 2	jplist-folder-All-Posts-584 Battle-Card-Battle-Card	jplist-topic-Battle-Card jplist-topic-Marketing jplist-topic-Vivial	0	02/12/2019 10:11:03	5 quick question to fuel your conversation! 7	jplist-folder-All-Posts-584 jplist-folder-All-Posts-584 Case-Study-Case-Study	jplist-topic-Content-Marketing jplist-topic-Email-Marketing jplist-topic-Facebook jplist-topic-Google jplist-topic-Online-Listings jplist-topic-Online-Marketing jplist-topic-Revenue-Generation jplist-topic-Search-Engine-Marketing jplist-topic-Search-Engine-Optimization jplist-topic-Sem jplist-topic-Seo jplist-topic-Social-Media jplist-topic-Upsell jplist-topic-Websites jplist-topic-Winback	0	05/14/2018 15:28:25	Through a variety of online marketing solutions, Vivial has generated 50 leads from Google paid ads and generated 8,600 customer engagements! 8	jplist-folder-All-Posts-584 jplist-folder-All-Posts-584 Case-Study-Case-Study	jplist-topic-Content-Marketing jplist-topic-Email-Marketing jplist-topic-Facebook jplist-topic-Google jplist-topic-Online-Display-Advertising jplist-topic-Online-Marketing jplist-topic-Online-Reviews jplist-topic-Revenue-Generation jplist-topic-Review-Generation jplist-topic-Search-Engine-Marketing jplist-topic-Search-Engine-Optimization jplist-topic-Sem jplist-topic-Seo jplist-topic-Social-Media jplist-topic-Upsell jplist-topic-Websites jplist-topic-Winback	0	05/14/2018 15:21:41	Vivial's Marketing Platform has generated expert, industry-related content that reaches over 7,000 people monthly and has 30 rankings for over 166 relevant keywords on Google. 9	jplist-folder-All-Posts-584 jplist-folder-Blog-585 Blog	jplist-topic-Channel-Partners jplist-topic-Content-Marketing jplist-topic-Email-Marketing jplist-topic-Facebook jplist-topic-Google jplist-topic-Online-Display-Advertising jplist-topic-Online-Marketing jplist-topic-Online-Reviews jplist-topic-Revenue-Generation jplist-topic-Review-Generation jplist-topic-Search-Engine-Marketing jplist-topic-Search-Engine-Optimization jplist-topic-Sem jplist-topic-Seo jplist-topic-Social-Media jplist-topic-Upsell jplist-topic-Websites	0	05/14/2018 15:10:30	April 30, 2018We’re fresh off the heels of the Channel Partners Conference and Expo, and let me tell you, it did not disappoint. We’re always excited to get out there and mingle with current and prospective partners alike, but there was a buzz this year that was palpable. Everyone in attendance had the same purpose—itching for solutions to provide to businesses across the country and looking for the most efficient and cost-effective ways to do just that. As we met and chatted with telecoms, master agents, and other solutions providers, one common thread kept appearing. No longer can any channel partnership be successful resting on the laurels of providing cost reduction to businesses. These days, we’ve got to take it one step further and prove out how our partnerships provide solutions that will grow businesses. Sure, offering bundles that result in cost reduction is a major selling point, but what business wants to cut cost at the expense of cutting their revenues as well? The sweet spot lies in a partnership that offers cost reduction while simultaneously driving phenomenal growth for the business customer. 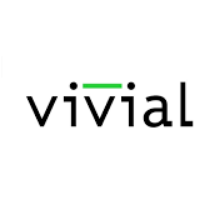 I was particularly glad to see such value and emphasis placed on this sort of solution set, because that’s what Vivial has been working so tirelessly these past years to provide. As we’ve built out our SMB solutions, we knew that our real value lay in our ability to provide growth-generating online marketing solutions at competitive prices—creating opportunity for businesses who may not otherwise have these solutions attainable to them. Channel partnerships are a natural fit for broadening the availability of these solutions. So—was Channel Partners a success? Absolutely. The tides are turning, and their turning in a very positive direction for both businesses and partners alike. I, for one, can’t wait to see what this next year brings. Missed us at Channel Partners? Connect with one of our Channel Managers today! 11	jplist-folder-All-Posts-584 jplist-folder-Blog-585 Blog	jplist-topic-Content-Marketing jplist-topic-Digital-Marketing jplist-topic-Directory-Optimization jplist-topic-Email-Marketing jplist-topic-Facebook jplist-topic-Google jplist-topic-Online-Deals jplist-topic-Online-Display-Advertising jplist-topic-Online-Marketing jplist-topic-Online-Reputation jplist-topic-Online-Reviews jplist-topic-Revenue-Generation jplist-topic-Review-Generation jplist-topic-Search-Engine-Marketing jplist-topic-Search-Engine-Optimization jplist-topic-Sem jplist-topic-Seo jplist-topic-Social-Media-Management jplist-topic-Upsell jplist-topic-Websites	0	05/14/2018 15:03:38	March 13, 2018 As a current or potential reseller of Vivial martech solutions, your success is important to us. That’s why we’re doing a series of short, focused posts each geared towards achieving success as a reseller of digital martech solutions to your customers. Each part of the series will focus on a key element to successfully integrate these solutions into your product mix. First, we covered figuring out what your customers need and how to give it to them. In this installment, we’ll talk about how positioning yourself as an expert with in-demand solutions can help you close the deal. Ask any successful marketing reseller what makes them successful, and they’re likely to tell you it’s the products they’re selling. Ask any small business what compels them to take the plunge and purchase marketing tools and services and they’ll likely tell you it was because their sales rep understood their problem and offered a unique solution. In this installment of our Sales Success Series, we’ll focus on how to use Facebook to secure more sales. OK, so it doesn’t have to be Facebook, but Facebook is a great example of how you can take a hot topic in the news that presents a challenge to your business customers, position yourself as an expert, offer a relevant solution, and make the sale. Allow us to explain. Recently, Facebook announced a pretty significant algorithm change. For years, Facebook users have watched as their news feeds grew more and more cluttered with content that was of little importance to them. But now, in what seems to be a growing trend towards improving the online user experience, Facebook is following suit and has announced changes to its news feed algorithm—giving more prominence to content from a user’s friends and family. Business content and other content that is not highly relevant may now see diminished visibility in users’ news feeds. [Learn more about Facebook’s algorithm change.] This is clearly a change that will impact many of your business customers – and may already be. So, how can you use this to your advantage? First off—educate yourself. Make sure you know everything there is to know about the new algorithm change and how it’s likely to impact your customers. Nothing builds trust with your customers better or faster than demonstrating a strong understanding of marketing trends and how they impact your customers. Second—offer your customers a solution that addresses their challenge. Bonus points if that solution is unique from anything your competition can offer. Case in point—reselling Vivial’s Marketing Platform. The platform essentially creates meaningful, custom content and distributes it widely—including on Facebook. This content entices users to engage (think comments, reactions, shares, etc.) which is an indicator to Facebook that the business is relevant and should remain visible in news feeds. By educating yourself, you’ll be able to communicate to your customers that this algorithm change in Facebook has the potential to diminish their visibility in users’ news feeds. But you’ll also be able to let your customers know that there are ways to mitigate this challenge. Custom content that’s engaging, useful, informative and shareable can keep a business relevant and visible even in light of the changes. Finally, you offer your customers the solution that addresses all these needs [Vivial’s Marketing Platform]. An all-in-one digital marketing platform that provides everything from custom content to social media management. So, is Facebook really the key to securing more sales? Maybe, but it’s not alone. The point is, this example can be replicated with any number of martech solutions. Figure out what the challenge is that’s facing your customers. Build trust by demonstrating a strong understanding of their challenge and an understanding of trends in the market that impact your customers. Once you’ve built that trust—introduce a solution that addresses their needs. An approach like this—whatever the product focus—is sure to get you closing more deals in no time.